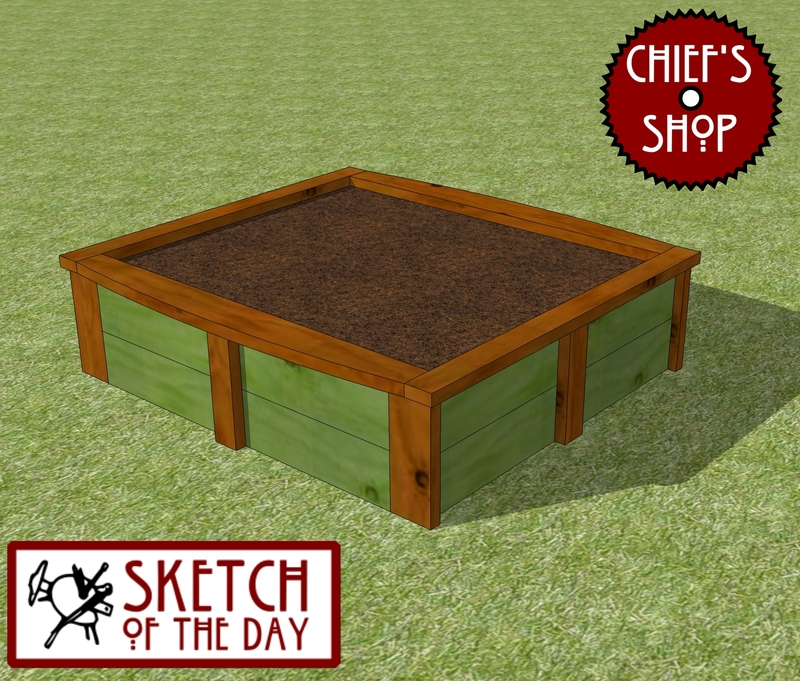 A 4×4 raised bed concept — something a bit more attractive than just a few boards slapped together. 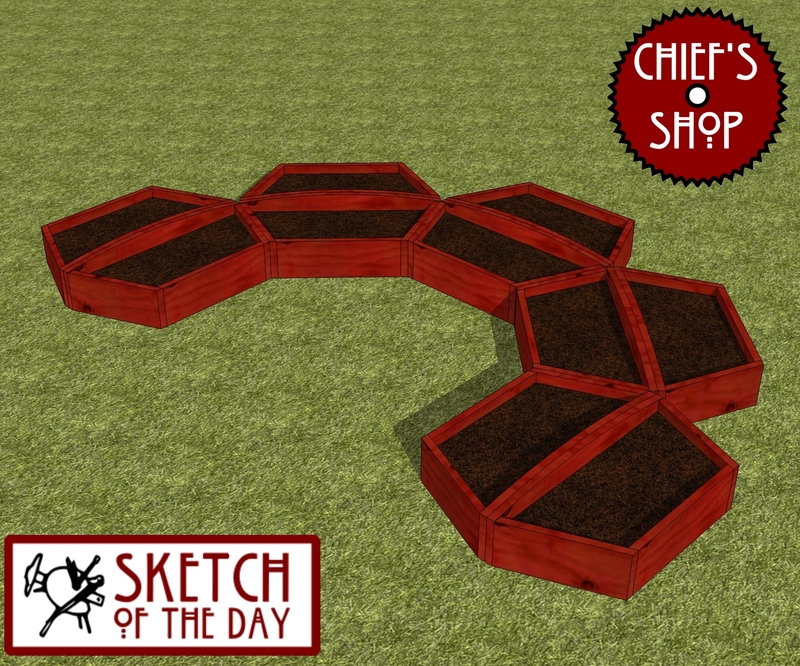 I like modular projects, so I decided to create a raised bed/planter concept that could be configured in multiple ways. 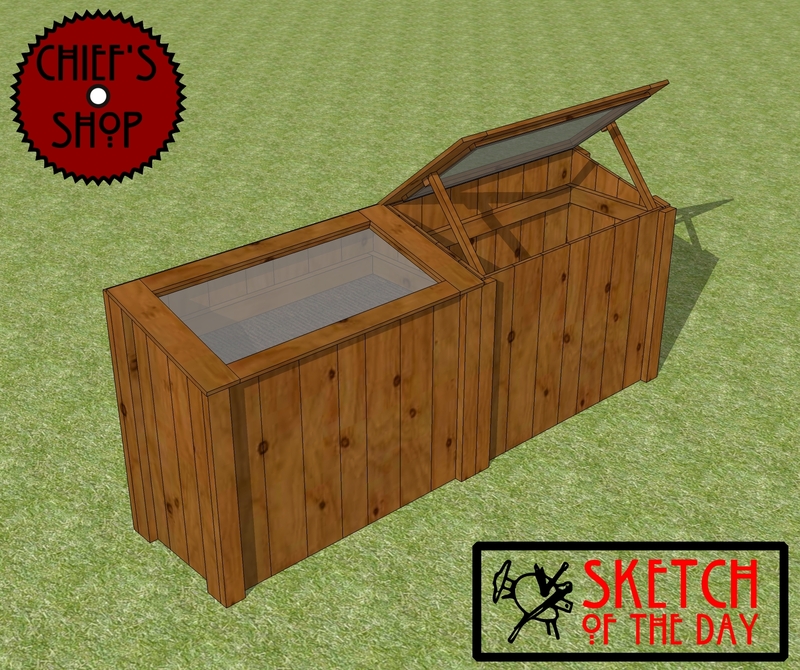 This raised bed cold frame is a concept a client asked me to render. What you see here is two placed together. It’s designed at an ergonomic height, and features a false bottom (you can see the soil level on the left side), a plastic panel, and supports for holding the lid when working in the bed. Quick projects are simplified project plans that are stripped down to just the basics: materials, tools, and diagrams. This one is a version of a pyramid raised bed. Simply build the levels, stack, and fill with soil. Click on the image to access the plan and download the 4-page pdf file. 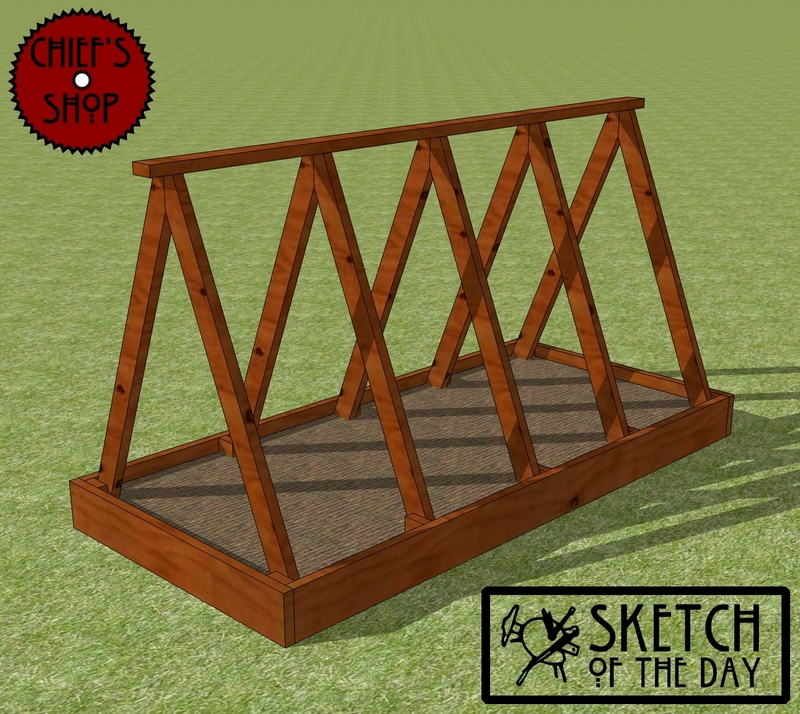 The a-frame raised bed concept would allow for adding netting to keep out pests.